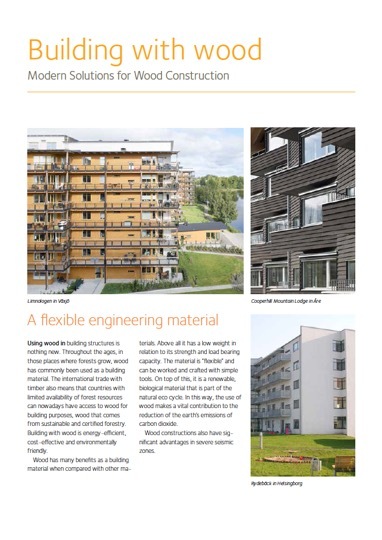 Swedish Wood: Using wood in building structures is nothing new. Throughout the ages, in those places where forests grow, wood has commonly been used as a building material. The international trade with timber also means that countries with limited availability of forest resources can nowadays have access to wood for building purposes, wood that comes from sustainable and certified forestry. Building with wood is energy-efficient, cost-effective and environmentally friendly.